Originally published under the title, "The Would-Be Sultan's Existential War." The gripping drama Der Untergang (Downfall), Oliver Hirschbiegel's film from 2004, deals with the last days of the Third Reich in Adolf Hitler's Berlin bunker. Now there are indications of the same kind of drama in Turkish President Recep Tayyip Erdoğan's opulent new palace in Ankara, where he shows signs of increasing paranoia. On Sunday, the protagonist in that article was no doubt the unhappiest man in this grey city of 5 million souls. During someone else's election campaign, President Erdoğan toured the country from one rally to another and asked the Turks to grant him 400 deputies – who would then rewrite the constitution to pave the way for his elected sultanate. Instead, the Turks gave him 258, 142 fewer than what he asked for. He and his minions wanted to steal another party's votes, which apparently backfired. Now they are unhappy because around 95 percent of votes have parliamentary representation. They do not hide that they would have been happier if the elected men had failed to make their way into parliament, hoping instead that their failed yes men had gotten there to hail the sultan. Too bad they didn't think of amending the election law so as to introduce a new national threshold for parties to enter parliament: 30 percent! With 41 percent of the vote, they could have now enjoyed 100 percent of the seats in parliament. 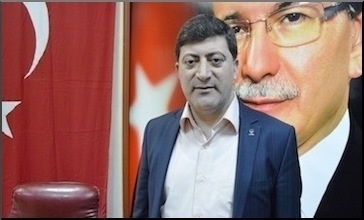 Muhammed Akar, AKP chairman in Diyarbakir, blamed the electoral setback on "the Jewish lobby" and "Crusaders" who "want the AKP to fall" because it is "the voice of the Muslims in Turkey and all the world." Still in shock, their intellectual trolls claim that Turks voted the way they did "because the imperialists intervened at the ballot boxes." 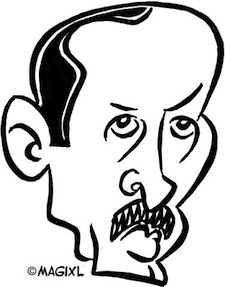 They ridicule themselves even more cruelly than before while "the other" Turkey, in amazement, ponders whether to mock them or pity them. One "brightly yellow" newspaper said the election results were a plot by a union of neo-Crusaders who wanted to stop Mr. Erdoğan's soon-to-come conquest of Jerusalem. On June 7, Turkey had 56.6 million registered voters. Of those, only 18.8 million (33 percent) voted for the party the "bipartisan" President Erdoğan fiercely supported during the party's election campaign, which means that there are 37.8 million (more than twice as many as pro-Erdoğan) Turkish voters who think the opposite. Erdoğan's worst enemy today is the nation's will. Or 37.8 million Turks who were pawns in a plot staged by a union of neo-Crusaders. Using the typical Erdoğan et al. jargon, the numbers must spell an apocalyptic message: 59 percent of Turks are plotters, coup-lovers, terrorists, traitors and Zionists. And, in this calculation, according to some Muslim clerics who do not hide that they worship Mr. Erdoğan, 59 percent of Turkey is not Muslim – since Muslims should not vote for anyone other than Mr. Erdoğan (or whichever party he points to). Too bad, Mr. Erdoğan's worst enemy today is what he has too passionately advocated for 13 years to intimidate his opponents: the nation's will in mere percentages and numbers of seats in parliament. For the first time in 13 years, his party is in the minority. Naturally, he is off the air for the first time in several years, and probably speechless, trying to digest defeat and make a hero's comeback. He is the lone would-be sultan in a too-expensive and too-spacious Ankara palace. The next few years will see his existential war against real, quasi-real and phantom-like enemies. Like someone observed recently from across the ocean: "Mr. Erdoğan is trying to drive a porcelain bus with gold-rimmed wheels." After last Sunday's elections that bus is on the road again minus its bumpers, hood, a couple of doors and windows, trunk and quarter panel – not to mention a leaking fuel tank.